When you purchase standard parts for your motorcycle, car, truck, or personal watercraft engine, there will be slight imperfections in the surfaces of the interior passages. To keep these imperfections from limiting performance, you need to get your parts honed out in Terre Haute IN at Extrude Hone. Getting a part honed out in Terre Haute IN requires the removal of a small amount of metal from the interior surfaces. While this can be done by hand, you’d end up spending countless hours and you may not be able to reach all the interior passages of a given part. Abrasive flow machining is faster and easier. All interior surfaces can be reached and smoothed evenly. The secret to this process is a polymer media that works sort of like liquid sandpaper when passed through the part under pressure. Because the media allows the abrasive particles to recirculate, there is always fresh abrasive at the surface and every millimeter of the passage will undergo consistent and controllable removal. What Kind of Parts Can Be Honed Out in Terre Haute IN? 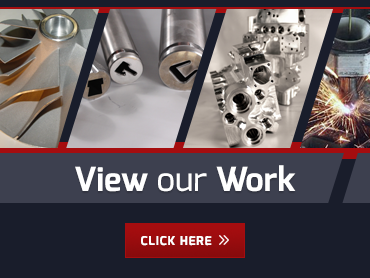 At Extrude Hone, we can create different abrasive media formulations to accommodate just about any part you might want to have honed out in Terre Haute IN. This includes both aluminum and cast iron parts. We frequently hone intake manifolds, as well as exhaust manifolds when there is no aftermarket alternative available. One part that you may not want to hone out is the header, since the honing process would weaken the interior weld. What we can do is add an exterior weld and then smooth the inner surface just enough to enhance flow. Extrude Hone pioneered the automotive abrasive flow machining process, which is now accepted and used worldwide to improve performance at top brands including Ford. We have the knowledge, skills, and experience to provide custom solutions for any project, no matter what material you’re working with or how much you need to remove. Our skill is particularly important when you want flow matched parts, since parts cannot be honed together. If you need components honed out in Terre Haute IN, please Call Extrude Hone at (562) 531-2976. We’ll be happy to give you a quote and a time frame for the project.